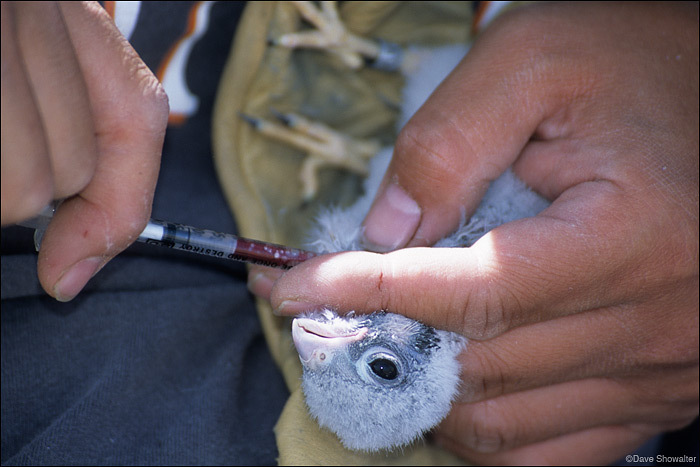 A biologist draws blood of a juvenile American kestrel for West Nile testing. The results were negative. Falco sparverius. Photo © copyright by Dave Showalter.